i. NITI Aayog, the premier think tank of the Government of India, partnered with the United Nations Economic and Social Commission for Asia and the Pacific (UNESCAP) and the Asian Development Bank (ADB) to host a South Asian regional conference at Pravasi Bharatiya Kendra in New Delhi to discuss the key issues, perspectives and the way forward in the Urban Infrastructure. ii. The two-day conference on “Urban Infrastructure: New Approaches to Public & Private Partnerships and Municipal Finance Innovations” was inaugurated by CEO, NITI Aayog, Amitabh Kant. · The Asian Development Bank is a regional development Bank established in 1966. · Headquarters of ADB is in Manila, Philippines. · Takehiko Nakao is Present President of the Asian Development Bank. i. NITI Aayog has constituted the ‘Himalayan State Regional Council’ to ensure sustainable development of the Indian Himalayan region. ii. The Council has been constituted to review and implement identified action points based on the Reports of five Working Groups, which were established along thematic areas to prepare a roadmap for action. iii. The Himalayan State Regional Council will be chaired by the Dr. VK Saraswat, Member, NITI Aayog. i. Delhi Police Commissioner Amulya Patnaik launched the force's e-learning portal NIPUNand training division website. ii. Through the website, Delhi Police will be using advanced technology in imparting in-service training to its personnel. i. The third edition of the India International Cherry Blossom Festival 2018 was held in Shillong. It was inaugurated by the Chief Minister Conrad K Sangma in the presence of Japanese Ambassador to India, Kenji Hiramatsu. ii. The four-day long festival is being organized by the Forest and Environment Department, Govt of Meghalaya, Institute of Bio-resources and Sustainable Development in collaboration with the Indian Council for Cultural Relations. · Tathagata Roy is the present Governor of Meghalaya. i. The two-day summit to mark the World Tolerance Day was inaugurated in Dubai, the UAE. Held for the first time in UAE, the theme of the Summit was ‘Prospering from Pluralism: Embracing Diversity through Innovation and Collaboration’. ii. The World Tolerance Summit brings together government leaders, key figures from the public and private sectors, peacekeeping ambassadors and change-makers from across the world to discuss the importance of tolerance, peace and equality, and celebrate diversity. 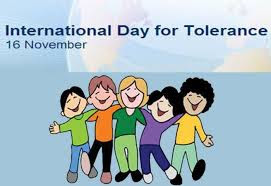 · 16th November has been declared as the World’s Tolerance Day by the UNESCO. i. The 5-Day long India- Taiwan SME Development Forum was held at Taipei, Taiwan. The Indian Delegation was led by Secretary MSME Dr. Arun Kumar Panda. ii. Currently, there are over 63 million MSMEs across various industries that employ more than 111 million persons and produce more than 8,000 products, ranging from traditional to high-tech precision items. · Taiwan Capital: Taipei, Currency: New Taiwan dollar. · MSME is the second largest employment generating sector after agriculture. i. The United Nations Children's Fund-India (UNICEF) has appointed Asian Games gold-medalist sprinter Hima Das as India’s first ever Youth Ambassador. ii. Recently, Hima clinched a Gold medal in Women's 4x400 metre relay event at the 2018 Asian Games at Jakarta, Indonesian. She also won Silver in the Women's 400m Race event with a clock timing of 50.59 seconds. · UNICEF India works along with the Central Government to ensure that children born in India get the best start in life, thrive and develop to his or her full potential. · UNICEF headquarters in New York, the USA. · Hima Das, nicknamed the 'Dhing Express', is an Indian sprint runner from the state of Assam. i. Finance Minister Arun Jaitley inaugurated National Press Day (16 November) celebrations in New Delhi. The winners of National Awards for Excellence in Journalism were honored on the occasion. ii. Eminent journalist and Chairman of the Hindu Publishing Group, N Ram has been selected under prestigious award category of Raja Ram Mohan Roy award. · Press Council of India chairman: CK Prasad. i. Every year on 16 November, the international community celebrates the International Day for Tolerance with activities that target both educational institutions and the general public. ii. UNESCO-Madanjeet Singh Prize for the Promotion of Tolerance and Non-Violence: In 1995, to mark the United Nations Year for Tolerance and the 125th anniversary of the birth of Mahatma Gandhi, UNESCO created a prize for the promotion of tolerance and non-violence. iii. The 2018 winners are social entrepreneur and filmmaker Manon Barbeau (Canada) and the Coexist Initiative, a non-profit organization working to end violence against women (Kenya). i. Former Australia all-rounder John Hastings has retired from all cricket, citing the risks posed by a bleeding lung condition. ii. Hastings played one Test, 29 ODIs and nine Twenty20 internationals for Australia before retiring from Tests and ODIs a year ago to become a T20 specialist.